While seemingly every corner of the United States has been celebrated in pop music in some fashion or another, nowhere has as many songs written about it as California. For many musicians, it represents the finish line, the realization of a long sought-after dream. 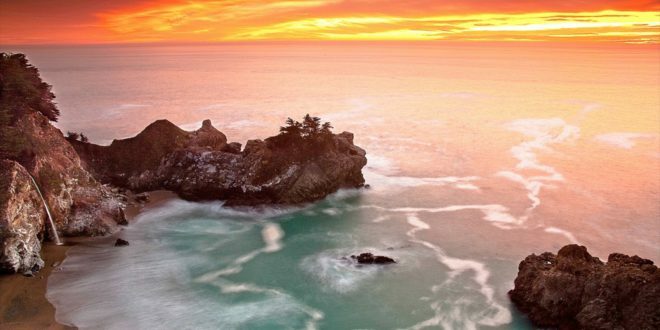 For almost anyone who has ever visited its immaculate shores and pristine mountains, California is an unforgettable piece of the heavens that somehow found its way to earth so that we mere mortals could explore it and get a little closer to god in the process. A New York band might be the last group you would expect to be able to capture the feeling of what it’s like to become totally immersed in the magic of the gold coast, but nevertheless The Chordaes new single “California” defies the odds and does just that. During its five-minute running time, the single attempts to (and succeeds at) summarizing the feeling of first discovering California for the first time, and while I don’t know if the song was based on real life experiences, I found it sincerely relatable to my own. As the track wraps up, it’s almost as if we’re watching a movie that fades to black as the credits start to roll as opposed to abruptly stopping. The finish doesn’t feel like the end of a song necessarily but more of a “to be continued,” which personally led me to immediately searching out more of The Chordaes’ work upon completing the song. They know how to get new fans on the hook and keep their attention, but I would like to see them polish their arrangements up a little more. That’s kind of an ironic statement to consider regarding an indie band, but this isn’t a crew that seems destined for permanent obscurity. They’ve simply got too much talent. It might not be their swan song, but regardless I enthusiastically recommend listeners give “California” and the fearless musicians behind it a chance this summer. The Chordaes have shown that they’ve got the stamina and determination to keep pushing their music as close to the limits as they can, and this is by far their most accomplished work yet. Every stage of their discography has offered a different, intriguing look into the inner workings of their development process and moving forward things couldn’t look much more promising for these hard working New Yorkers.